Volunteers who helped with the build were encouraged to write uplifting messages on a wall at the park to underscore the importance of physical activity in community members’ lives. Psychology major Lindsey Paterson was stumped about what to do with her life until the day another U. of I. student, Aimee Gottlieb, spoke to a class Paterson was in. Gottlieb was promoting awareness about a new student group called Play for Change, and when Gottlieb described the group’s purpose – generating social change through sports – it was like a light bulb clicked on above Paterson’s head. A San Clemente, California, native, Paterson joined Play for Change last year as a freshman and is currently the group’s vice president of marketing and membership. A group of U. of I. students was inspired to found Play for Change while taking professor Jon Welty Peachey’s critical issues in sport management course during the fall 2013 semester. Last September, seven members of Play for Change rolled up their sleeves and spent a Saturday helping to transform a patch of dirt into a playground at Peace Park in Decatur, Illinois. Organized and funded by the nonprofit organization KaBOOM! and other groups, the park build brought together nearly 200 volunteers, who created a safe place for neighborhood children to play. “Even though we were all tired after shoveling pounds of mulch and making the concrete for the playground structures, we were so proud to be a part of that build. We contributed our time into building a park that will put smiles on so many kids’ faces, which is truly an amazing feeling,” Paterson wrote in a publicity flier after the event. Currently, Play for Change comprises a core group of about 20 members, and more than 100 people subscribe to its Listserv. In the community around the U. of I. campus, Play for Change volunteers are striving to promote lasting change in the lives of children through a project called the Young Olympians of Champaign County, a program developed in collaboration with Charles Burton, unit director of the Don Moyer Boys and Girls Club in Champaign. “We wanted to develop a program to provide change in our community and to create something that not only incorporated activity to help combat childhood obesity but also provided some core values for the kids to live by,” Burton said. The Young Olympians curriculum teaches third-, fourth- and fifth-grade children about four of the Olympic values – courage, determination, friendship and equality – through physical and cultural activities. 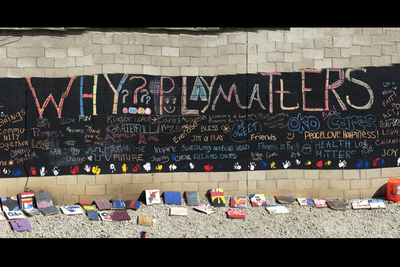 Several Play for Change volunteers were inspired to create the Young Olympians program after they attended the Olympism4Humanity summit, held at the International Olympic Academy in Olympia, Greece, during summer 2014. “An Olympic-themed program seemed like a particularly good fit for the Boys and Girls Club because the concept of Olympism and the club’s mission are both about humanity striving to fulfill its full potential,” McCann said in a capstone report, which he wrote to meet some of the requirements for a Master of Urban Planning degree. A native of Chapel Hill, North Carolina, McCann expects to graduate this May with dual degrees in urban planning and sport management. The Young Olympians program debuted at the Boys and Girls Club in spring 2015. Volunteers met with about two dozen children twice a week for four weeks, exploring a different Olympic value each week. In the unit about friendship, for example, the children participated in an exercise in which they guided a blindfolded partner through an obstacle course. To explore the concept of determination, the children met with athletes from the U. of I.’s wheelchair athletics program, who discussed what determination meant to them. 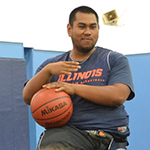 During a scrimmage with the Illinois athletes, the children were able to experience playing basketball using adaptive wheelchairs, said Gottlieb, a Chicago resident who is completing a master’s degree in recreation, sport and tourism and is co-vice president of Play for Change. And as an exercise in courage, the children visited the U. of I. 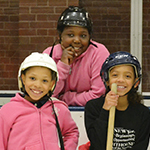 Ice Arena to play broomball – an adventure for many of the youths who had never been to an ice rink or played the sport before, Burton said. As with Olympic athletes, opening and closing ceremonies were held to honor the participants. The program also introduced many of the children to the university campus – and “some kids mentioned that it opened their eyes to the possibility of going to college,” said Wonjun Choi, a doctoral student in sport development from Seoul, South Korea, and Play for Change’s research chair. Developing and running the initiative provided the volunteers with valuable experience in program design, time management and grant writing, Gottlieb said. 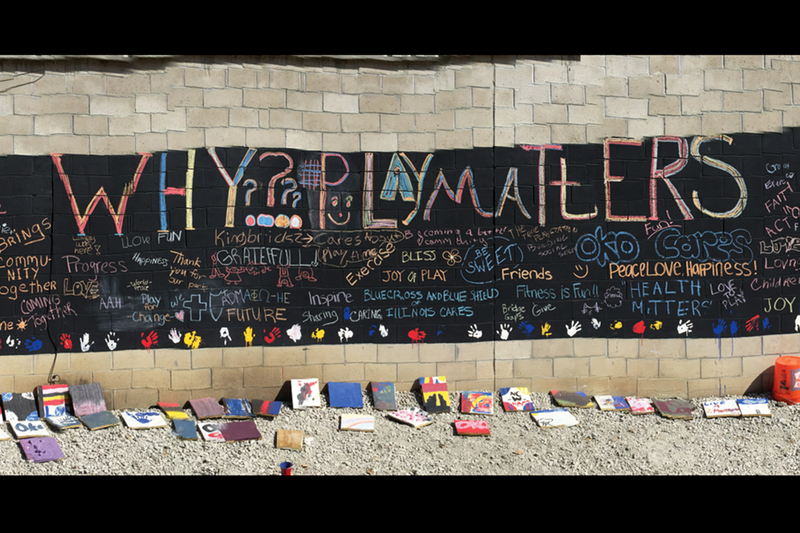 Play for Change and Burton expect to offer the Young Olympians program again this spring, refining the curriculum based upon what they learned from the 2015 outing. Paterson said she has loved every minute of her work with Play for Change. “It’s been a really good experience to work with such amazing people. Now that we have a foot on the ground, I think Play for Change is going to do great things, ” Paterson said.